This eagerly anticipated gala produced some unbelievably close finishes for our teams, captained by R Friis and H Roderick, accompanied by noisy encouragements from all. The noise was deafening from both swimmers and parents. As always my philosophy with galas is to get as many swimmers as possible to join our team to experience the excitement of competition in the pool and take their place alongside our experienced swimmers who compete at the top of their game. After the individuals, St Michael’s were leading. Many of our younger swimmers showed outstanding potential with a good understanding of the rules of competition swimming. 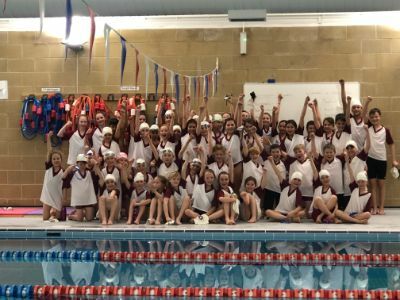 Even with our squad relay finishing over a length in front, both schools were fighting for points and with considerable jostling for first place throughout. Full of apprehension, both schools awaited the final results. With only 4 points separating teams, Hazelwood took first place with 231 points and St Michael’s second with 227 in an amazingly close finish. Congratulations to all the following swimmers who achieved 1st places. I can safely say we are proud of both the standard and speed of our team who showed exceptional potential. Many thanks must go to our helpers: Charlie Parkinson and Anne Smith as team managers, Kendra Tovey and Miss Booth placing, Gail Leathers judging and most importantly Mrs Wade and Tracey Ashton adding up the points which turned out to be an exceedingly pressurised task.